Are Your Symptoms Patellar Tendonitis? Before we go any further, let’s make sure you’re on the right track by reading this article on jumper’s knee. Do you feel pain on the side of your kneecap, in front of your kneecap, behind your kneecap, or in the patellar tendon right below the kneecap? If you answered yes, your symptoms indicate patellar tendonitis. You use your patellar tendons every time you straighten your knees. All activities that involve this movement can worsen the pain. This includes climbing stairs, squatting, cycling, and walking downhill. 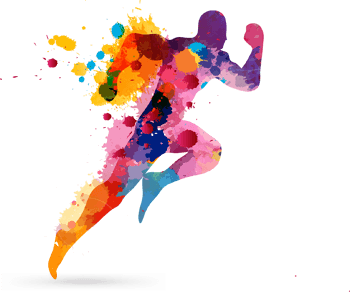 Explosive leg movements, such as jogging, weightlifting, jumping, and sprinting are very likely to worsen the pain, because they store elastic energy inside the tendon (like in a dense rubber band). Does your pain get worse with any of these activities? If so, it’s another indicator for patellar tendonitis. If your pain is on the side of the knee or behind the knee, you have a different knee injury. Is your knee swollen? Can you no longer fully bend or straighten the knee? Go see a doctor immediately because you may have a knee injury that requires immediate medical attention. Regardless of how sure you are about your injury, you always have to visit a doctor to rule out other injuries because if you don’t, you risk permanent damage and lifelong pain. Patellar tendonitis progresses in stages. 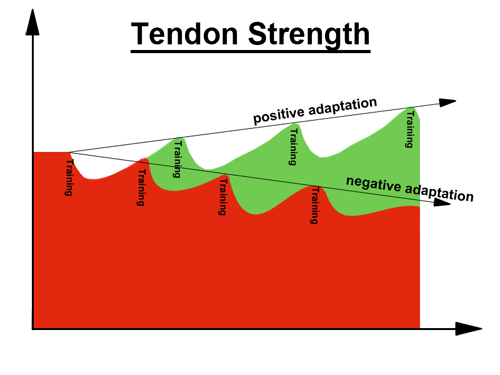 Put simply, you can be in the acute stage and in the chronic stage. Resting will only help you get back to 100% if you’re in the acute stage. You’re in the acute stage if you’re experiencing the pain for the first time and haven’t had it for more than a week or two. You’re in the chronic stage (patellar tendinosis) if you’ve had the pain several times in the past or have suffered from it for more than a month. Resting alone will not be sufficient to heal your patellar tendon. Instead, you need the right combination of rest and treatment exercises (more on that later). Chances are you’re in the chronic stage, since most people only start looking for answers once pain becomes more permanent. It’s just human nature. I made that mistake as well. Throughout the rest of this article, I will always talk about the chronic stage when I say tendonitis. For more details on the injury stages, read 3 Red Flag Symptoms of Patellar Tendonitis. The conventional treatment for patellar tendonitis fails often because it is based on 3 stubborn fallacies that refuse to die. 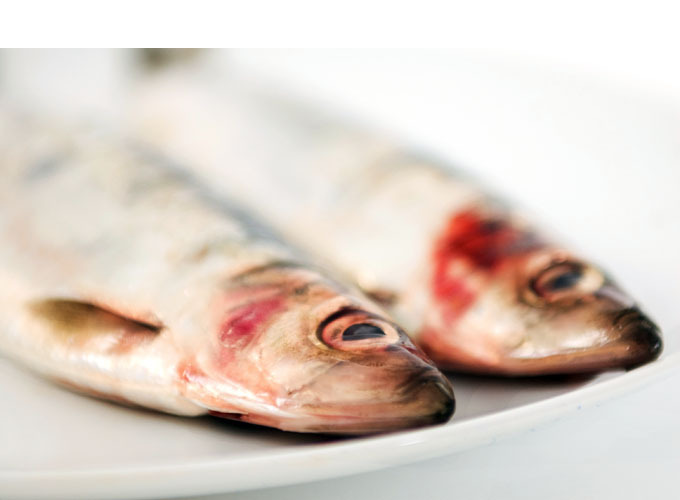 These three red herrings are like an unholy trinity that conspires to damage your patellar tendon even more. In other words, you MAY use anti-inflammatories to treat ACUTE patellar tendonitis. You have to stop your training during that time and take a few weeks to ease back into it after your treatment has concluded. 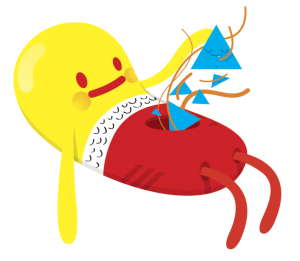 BUT, if you’re in the chronic injury stage, academic research says that taking Ibuprofen or other non-steroidal anti-inflammatories (NSAIDs) will slow down your healing (or even prevent healing altogether). If you’re taking anti-inflammatories while continuing your regular training, you risk causing tendonitis. Here’s why. So you may have taken anti-inflammatories for an unrelated health condition and because you continued your regular training, your tendons were too slow to adapt and tendonitis developed. Damn it Jim! I’m an athlete, not a doctor. Did you try to heal your chronic patellar tendonitis by resting? More bad news: you wasted precious months doing nothing. But it’s not your fault, since you couldn’t possibly have known. Here’s why resting will not get you back to 100%. In patellar tendonitis, the small fibers that make up the tendon have become disorganized. A healthy tendon has well-aligned fibers, but if you interrupt the tendon’s adaptation response to training too often (aka overuse), alignment breaks down. I always liken it to the threads of a steel cable: in tendonitis, the threads have become frayed. The tendon will be weaker and it won’t be able to handle as much force without suffering further damage. A weakened patellar tendon is like a frayed steel cable. Normally, the body would repair the damage, but since the body’s attempts for repair have been interrupted so often, it has sort of given up on the repair job. By the way, interrupting this adaptation response is also how anti-inflammatories slow tendon healing. 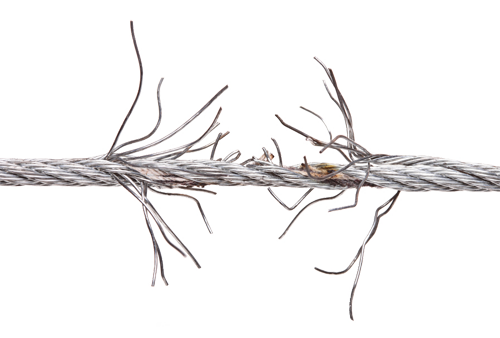 Resting is like putting the frayed steel cable into a drawer for a week in hopes of it magically repairing itself. With rest, pain may go down, but the tendon is still weak since its fibers are still messy. If you return to being active, pain will promptly return, as the weakened tendon cannot handle the stress. Maybe you’ve experienced this. Being pain-free DOES NOT mean your patellar tendon is healthy or strong enough for your sport! You MUST NOT trust your pain (or lack thereof). In tendonitis, tissue damage occurs before you feel pain (Huisman et al. 2013; Khan et al. 1998, p. 351). Other scientific research discovered that two thirds (66 %!) of tendons so damaged that they’re close to rupture were still pain-free (Kannus, Józsa 1991). So science says you shouldn’t pop the champagne just because your pain is gone. Even without pain, your tendonitis is lurking in the shadows like Michael Myers, patiently waiting for you to make a mistake (cue Halloween Theme). 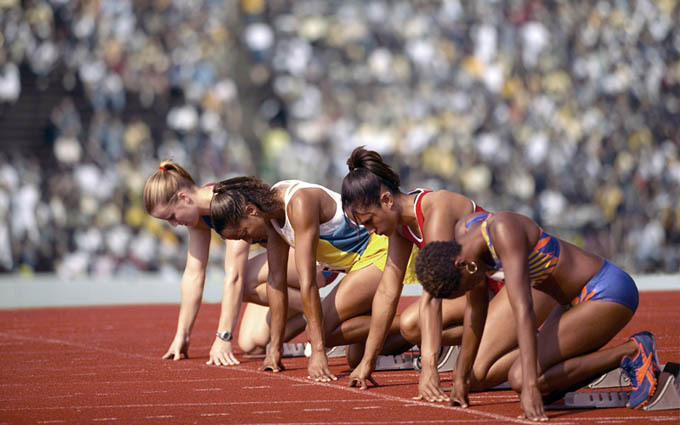 Once you found a treatment program that works, follow a slow progression until your pain is completely gone … and then continue the same slow progression for another two or three months minimum, before you even attempt a slow return to sports. During patellar tendonitis rehab, slow progress is fast progress. 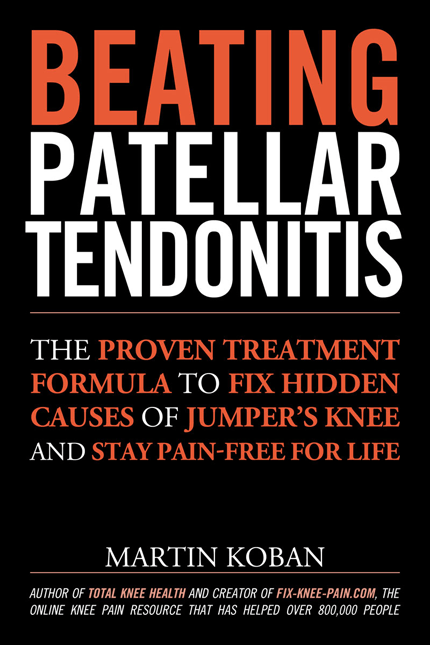 To learn more about this, check out Patellar Tendonitis Treatment: Do You Know These Secrets? Patellar tendon straps can still be beneficial if you need them for pain management during unavoidable daily activities, but beyond that, I’d be careful with them, for the reasons mentioned in the video. 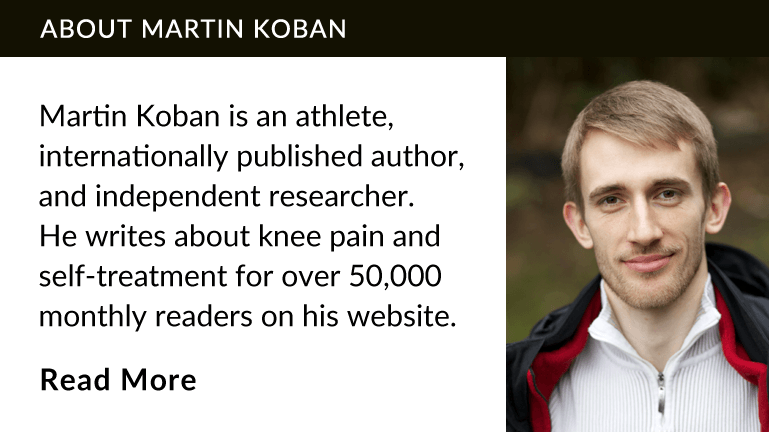 Everything I know I either learned by reading academic research, through self-experimentation, or by studying the material of movement experts like Dr. Kelly Starrett, Dr. Perry Nickelston, or Dr. Gray Cook (among many others). I’ve refined the patellar tendonitis treatment I ultimately used to heal my knees down to the following 4 steps. Each step is critical and if you skip one, you’ll be back to where you started. 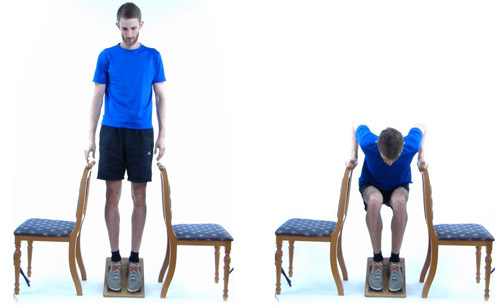 Skip any of these steps and you will NOT recover from patellar tendonitis. I’m handing you a detailed map that will guide you through a minefield. There’s no second-guessing involved. It’s not going to be fun all the time either. And I get it, I’m an athlete too! I get depressed if I don’t train, so I can definitely relate. But I’m here to help you get better, not make you worse. I’m not going to prescribe anti-inflammatories or sell you a patellar tendon strap and tell you to keep training. That would be grossly negligent. Here’s the truth: you cannot rehab patellar tendonitis while you continue your regular training. If you try, you will fail. Specifically, you need to avoid all running, jumping, heavy squatting, lunging, and heavy hiking during your rehab, unless it’s part of your rehab protocol. If possible, avoid all activities that cause pain. Focus on training your upper body during the treatment. This will help you avoid further damage and it’s necessary for step #2 to work. Here’s why. Before we get to the treatment exercises you will be using, let’s talk about the methodology. The exercises are just minutia compared to how important understanding the methodology is. You will use your pain to discover how often you should train, as well as what type of exercises you should be doing. Once you’ve found the right combination, pain will decrease from week to week. 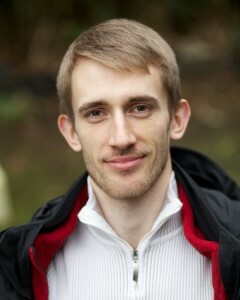 Pain may stay a bit higher than normal right after your training, but it should drop down to baseline within 24 hours. If pain stays elevated longer than that, you’ve trained too hard. Again, don’t change all variables at once. You’re like Sherlock Holmes, revealing new evidence to discover how you can crack the case. You need to be systematic and cold-blooded for this to work. Now you can understand why continuing your regular training will totally screw this process up. Any type of unneeded training will make it harder for you to find the rehab program that works because you won’t be sure if pain is the result of the rehab exercises or your regular training. Once you found a combination of treatment exercises and rest days that help you reduce your pain, stick with it until it stops decreasing your pain. Then slowly increase the intensity of your exercises by using more resistance without causing a return of pain (hint: go much slower than you think you can). This is where most people flush all their rehab progress down the toilet: the secret test! It’s like a rite of passage designed by the tendonitis gods and most folks fail this test, unfortunately. Do you remember treatment fallacy #3? Being pain-free doesn’t mean your patellar tendon is healthy or strong enough for your sport! You MUST NOT trust your pain (or lack thereof). Knowing this is your cheat-code to beat the odds. 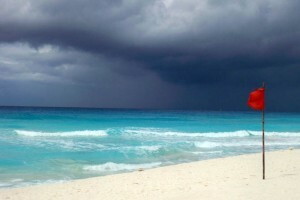 During your rehab, you will encounter a point at which your pain is almost completely gone. You’ll feel better than you have in a long time and you will have an itch to return to your favorite activity. If you scratch that itch, you’ll be back to square 1 with your treatment. Here’s why. Your patellar tendon has gotten stronger as you progressed through your treatment. It’s strong enough for everyday activities and so pain is no longer an issue. HOWEVER, the tendon is not nearly strong enough for your return to sports yet and if you tried, you’d immediately have a major setback, wasting many weeks of progress. Even after your pain is gone, you need to continue the safe strengthening regimen you discovered in step 2 for at least another 2 months before you attempt any high impact activities. Remember back when your parents told you not to do stuff and you did it anyway? Like we tell kids not to touch the hot stove because it’s … well … hot, but they still have to try it, thinking that maybe the laws of the universe didn’t apply to them. Treating patellar tendonitis is very similar. You’ll be tempted to do things you know you shouldn’t do. For me, this usually was a round of pickup basketball when I knew I wasn’t ready. For you, it’s probably something completely different. Don’t let your guard down. Increase your activity level gradually, always respecting your patellar tendon’s need for at least 2 or 3 days of rest between intense activities. Remember, the pain is still lurking in the shadows, just waiting for you to make one small mistake. It’s cold-blooded and calculating, but life is just more fun without pain. Are you adding months your recovery by making one of these 3 mistakes? Watch the video to learn more or read this article about patellar tendonitis recovery time. Enough talk about the theory, let’s finally get to what you probably came here for, treatment exercises! To get rid of your patellar tendonitis, you have to do two types of exercises. Skip them and you’ll eventually have a setback. Here’s the first group. The patellar tendon is overused through a combination of training too much and hidden biomechanical problems that place excessive stress on the tendon. As an analogy, think about how wearing tight and wet jeans restrict your movement. You have to exert more energy and moving around is a little tougher on your joints. The same happens to your patellar tendon, as hidden biomechanical problems place more tension on the tendon. I explain each of these in detail in my book Beating Patellar Tendonitis. We’ll only address the most serious problems in this article. Again, these issues overload your patellar tendon over time. This happens slowly, over many weeks. To prevent patellar tendonitis from coming back, you need to fix them! Here are exercises you can use to do that. The best way to reduce pain from an overused patellar tendon is to release as much tension as possible from your leg muscles. Stretching may be the first thing on your mind in that regard, but for maximum effect, you need to combine stretching with self-massage. 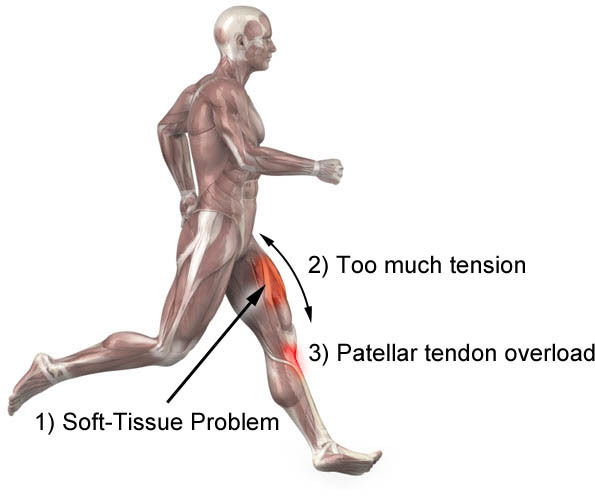 Soft-tissue problems can cause patellar tendon overload. Self-massage reduces tension in your legs by releasing soft-tissue restrictions in your muscles and it can be very uncomfortable. These restrictions happen when tissues that should glide freely on top of each other are stuck together (after an injury or because of too much sitting and general lack of movement). Self-massage of the quads led to an immediate pain reduction for many of my readers. It’s like when your stomach hurts after eating too much and the first thing you do is undo your belt buckle. It feels soooooo much better! To do self-massage, you will need a foam roller or another round object (e.g., a PVC pipe or a tennis ball). Place the roller under your legs and then roll each leg muscle and the muscles on the side of your hip. I share a video of a great massage technique that you can do at home without a foam-roller in my free advanced course on how to get rid of jumper’s knee. 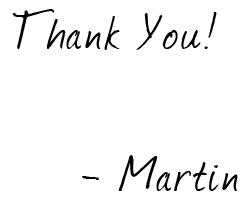 Click here to have me send it to you. Once you’re done with the self-massage, you can move on to stretching. People with jumper’s knee tend to have tightness in the calves, the hamstrings, and the quadriceps muscles. They all cross the knee, so any excess tightness places more tension on the patellar tendon. Before you do any stretches, you must remove all soft-tissue problems in the respective muscle. A muscle with knots and trigger points doesn’t like being stretched and often reacts by becoming even tighter, which we definitely don’t want. You can also do this stretch by placing the balls of your feet on the curb of the street and letting your heels sink down. That’s what I used to do before basketball games. Tight hamstrings are very common today, but you have to be careful with stretching them. 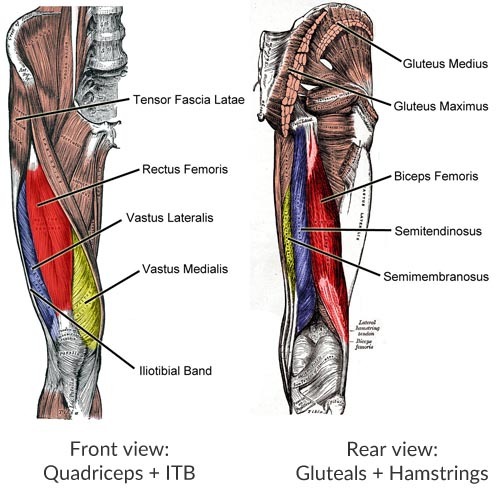 Make sure you’ve trained your gluteal muscles because weak gluteal muscles will cause your hamstrings to become overworked, which leads to tightness. We’ll do that with the exercises further down. Lie on your back and use a strap to pull one foot closer to your body. Push against it with your foot for 10 seconds while you pull with your hands. Then release the tension by breathing out with an audible sigh. As you relax, pull your foot a little closer. Repeat for about 2 minutes per side. If these particular patellar tendonitis stretches aggravate your pain, don’t do them. Find an alternative version or stick with the self-massage. You will need a padded surface for the first quad stretch and I don’t recommend doing without padding, as it’s painful and may injure your knee. 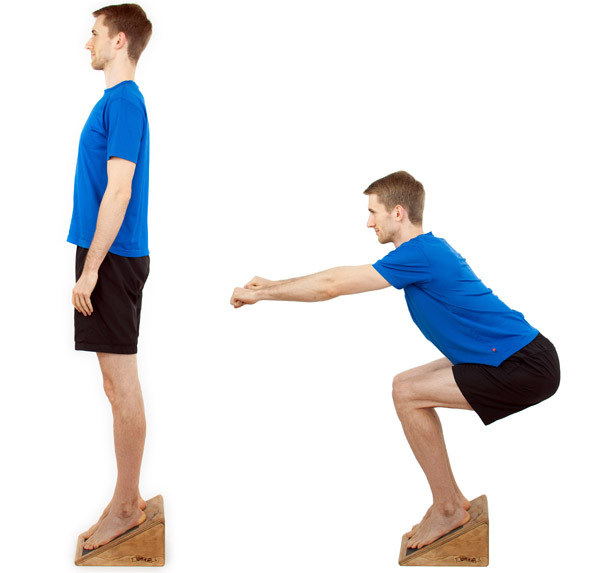 Kneel down in a lunge position and grab the ankle of the rear leg. Next, pull it to your hip. If you notice discomfort in your knee, try moving your knee a bit. I usually lean forward after I grabbed my ankle and then sit up again. Push your hip forward and sink deeper into the stretch. You can make the stretch more intense by pulling your ankle closer to your hips. Put your knee into the back corner of the couch and then sit up straight. Don’t round your lower back. Keep your abdominal muscles braced as if you’re bracing for a punch and keep the gluteal muscles of the leg you’re stretching tight. Here’s an analogy to illustrate why good leg alignment is important for a healthy patellar tendon: lifting things off the floor. If you lift with good back alignment, it’s much easier on your spine than if you were to lift with a rounded back, much like running and jumping is easier on your patellar tendon if you move with good leg alignment. Your feet need to point forward and your knees should track over your toes when you move. When I go shopping, I usually see many people with knees that cave in towards the midline of their body. Don’t let this happen, it puts excessive strain on the tendon. Also, don’t let your knees come forward when you jump or squat. The shin should stay as close to vertical as possible. Lie on your side with your legs slightly bent and in front of you. Rotate the upper leg out, just using your hip muscles. Don’t move your hip and don’t push off with your feet. Lie down on your back. Next, slide your heels in so that your middle fingers gently touch your heels. Now, push through your heels to form a straight line from your knees to your shoulders. Poke your buttocks muscles and your hamstrings to make sure your buttocks muscles are tighter. Finally, here’s how you can stimulate healing in your tendon. All of the previous exercises on this page will help you take tension off the patellar tendon. Reducing tension is crucial to allow healing. Like you have to jack up a car before you can change a flat tire. In chronic patellar tendonitis (“patellar tendinosis,” as some call it), your body has given up on healing the patellar tendon because you’ve interrupted these healing attempts too frequently. The fibers in the weakened tendon are a chaotic mess and if all you do is rest, this won’t change. Instead, you need to place controlled tension on the tendon to restart the healing mechanism and then let your body finish its work, before you place higher tension on it again. 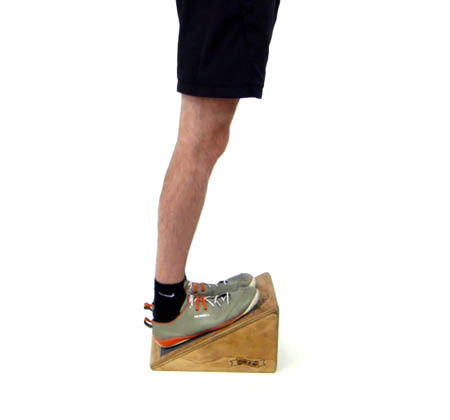 Academic research has revealed one exercise to be particularly good at stimulating healing in a damaged patellar tendon: eccentric squats on a slanted board. This is actually a common physical therapy exercise. Here’s a video demonstrating the technique. 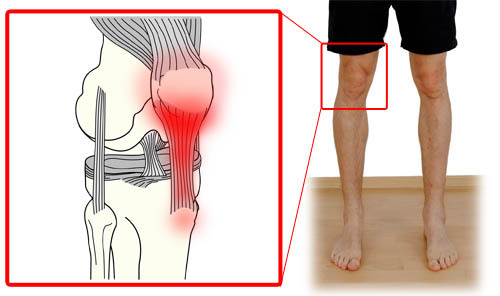 Patellar tendonitis in one knee: place more weight on the injured leg on the way down. Patellar tendonitis in both knees: support your weight on the way up. If you don’t have access to a slanted board, you can improvise something similar or build one yourself, if you have tools. Alternatively, do the exercise on flat ground. It’s not as efficient, but it works as well. We covered a lot of ground in this article. It’s almost 20 pages. My goal is to help you get rid of your patellar tendonitis, so I’ve created a free course that will give you everything you need to get back to enjoying life. Have me send you this advanced material and start healing your knees today. My goal is to help everyone with patellar tendonitis get back to enjoying their life and I’ve collected the very best techniques to do so on this very page, but I can’t reach everyone myself. I need your help! Please help me spread the link to this page. Share it with your friends on social media or on your blog.